There's no reason any Milwaukeean should have to frequent those big-name coffee chains if they want to stay local. 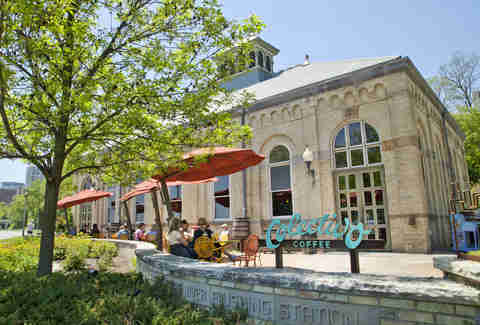 Our city proudly boasts tons of great local coffee shops -- most of which even roast their own coffee. 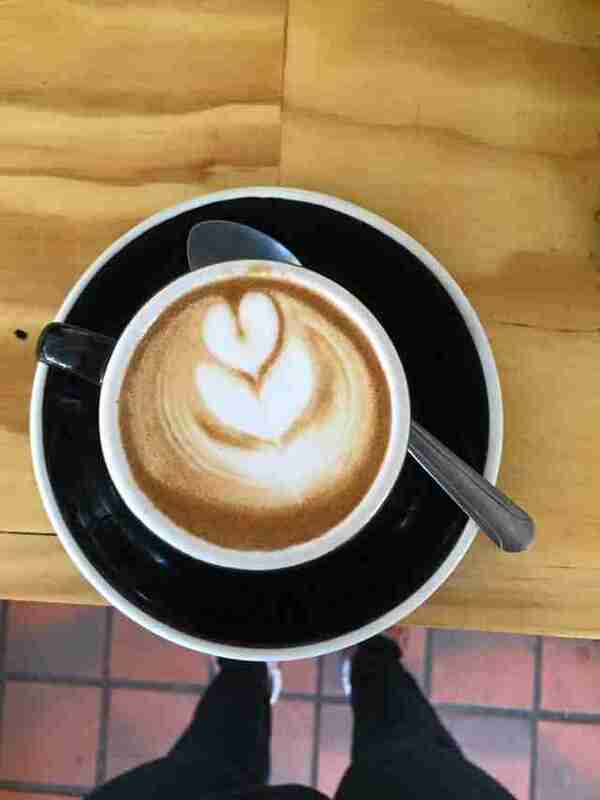 So the next time you need that java fix, skip the drive-thru and take a load off at one of these cafes. Primarily a local supplier of espresso and single-blend coffees to businesses, Hawthorne opened up a cafe in a neighborhood that sorely needed one. With its open space and shabby chic furniture and decor, it quickly became a gathering point for local residents. Pour-over coffee is the centerpiece, inviting guests to linger and enjoy themselves. Bonus: the space is shared with Iron Grate BBQ, so you can get your coffee in the morning, then stay for smoked brisket at lunch. Coffee and pizza and wine... it's basically all our favorite things. The Bay View outpost of this coffee roaster has a huge Italian wood-firing pizza oven that churns out some primo pies, and a liquor license to boot. Coffee will always be Anodyne's first love, though, and they roast their beans in small batches at their Walker's Point location. Both of the founders of Valentine Coffee Roasters have roots in wine, so it's no surprise that they call the small cafe attached to their roastery "the tasting room," like at a vineyard. They analyze their beans and roasts just like sommeliers scrutinize wine, too, looking for just the right blend. Classic Italian coffee drinks like the macchiato are available, but try a simple pour-over to really taste the differences in their blends. 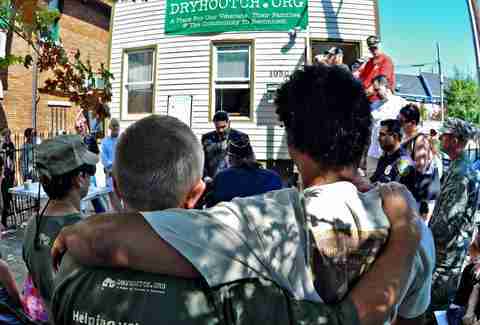 Possibly the most underrated coffee shop in the city, Dryhootch is a non-profit organization dedicated to helping veterans return to civilian life smoothly. Veterans run the cafes, which serve as alcohol-free gathering points for support, employment, outreach, and anything else veterans may need. You'll find civilians and veterans of all walks of life here, connecting through their common bonds of service to our country and service to our veterans. If there's any better goal for a coffee shop, I don't know it. Plus, the lovely little courtyard patio is about as bucolic a getaway as you can get on Brady St. 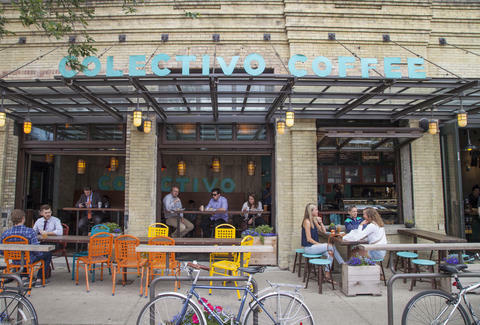 The undisputed champion of coffee shops in MKE, Colectivo came on the scene in the '90s when every cafe wanted to be Central Perk. It's had a name change since then -- some still call it Alterra -- but their brand recognition is still off the charts. Each location takes on the unique vibe of its neighborhood, though they all have those colorful chairs. The lakefront location is massive and serves as one of the cheapest places you can enjoy the lake view from a patio. Rochambo is what would happen if you asked a hippie to design a new-age, French-inspired arthouse cafe. It fits in perfectly on Brady St, where art and self-expression rule. They serve Valentine coffee here, with their own custom blend. There's also teas, juices, and paleo snacks if you're into the caveman thing, but the kicker is the booze. 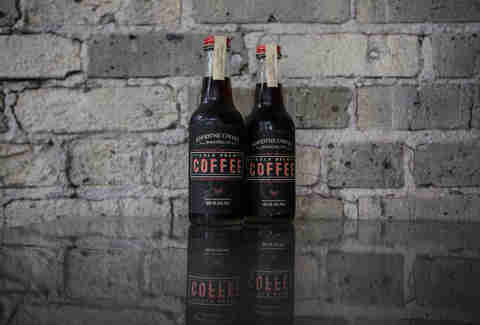 The Irish coffee is legendary, but you can get coffee and liquor combos of all sorts. Now that's a great way to start the day. Brewed Cafe is like the big brother of nearby Rochambo. It's got a slightly more refined, quasi-Parisian vibe and a full menu of breakfast, soups, salads, and sandwiches. There are lots of vegetarian and vegan options, so you can munch on a tofu scrambler while you sip your cafe latte. And they serve up Anodyne coffee here, so you know you're getting a great cup of joe. Coffee isn't just for breakfast: when you need that pick-me-up in the middle of the day, stop by Urban Joe Cafe for lunch. 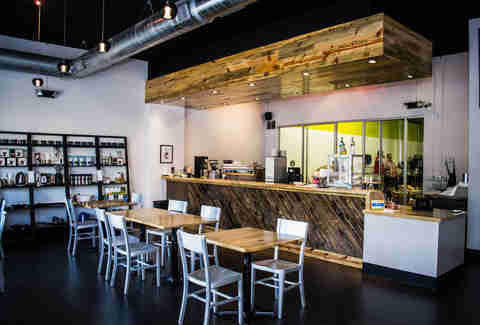 It feels like a perfect cross between restaurant and coffee shop, with slate on the walls and uniform seating options. Iced coffee drinks are popular, probably because they go well with the large fresh salads. When the weather is nice, they create a little sidewalk patio right in Downtown 'Stallis. This is one local chain that many people don't realize is local. They started here in Milwaukee (and only have locations in the area) but their brand is so sleek and put together, it kind of feels like a big chain... which makes it the perfect spot if you're feeling guilty because you want to support local, but can't kick your Starbucks habit. 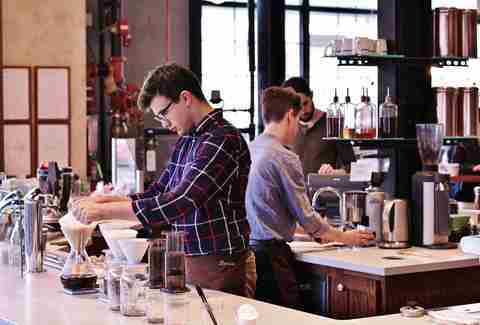 They also offer factory tours where they roast their beans, as well as espresso and home-brewing classes for the budding barista. Lacey Muszynski is a Milwaukee writer who only likes her coffee with fat, sugar, booze, or all three. Follow her on Twitter @worthhersalt.